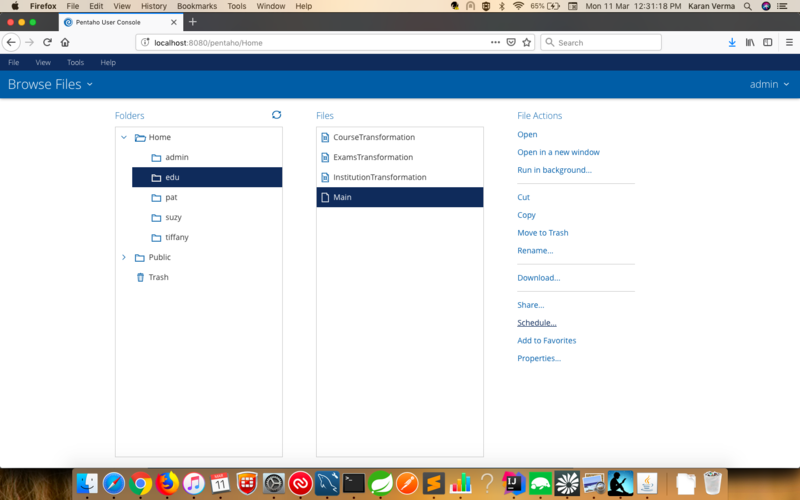 I have a server running Pentaho BI server v6 Community Edition. We've developed a Kettle job to extract from one database to another, exported as a KJB file. I would like to run this job every 12 or so hours. 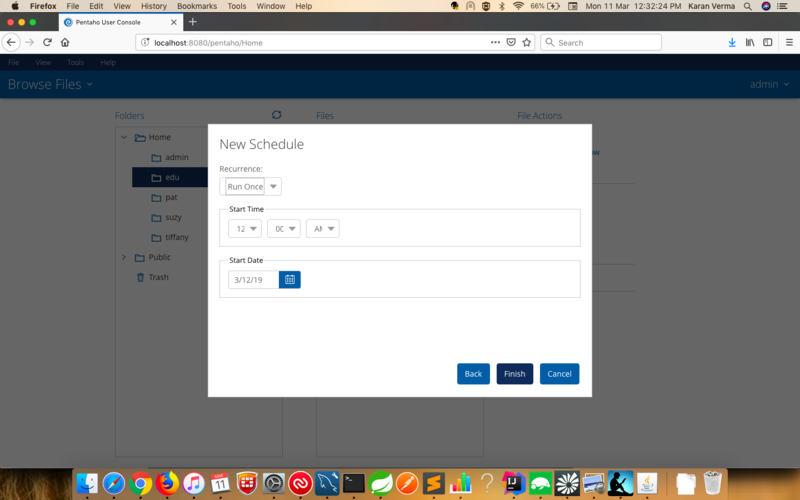 I noticed that the BI server already included Kettle, and has the ability to upload and schedule jobs. Do I need to install the DI server if the BI server already has Kettle installed? If not, how can I publish the KJB file into the BI server? I'd like to use a file system repository. 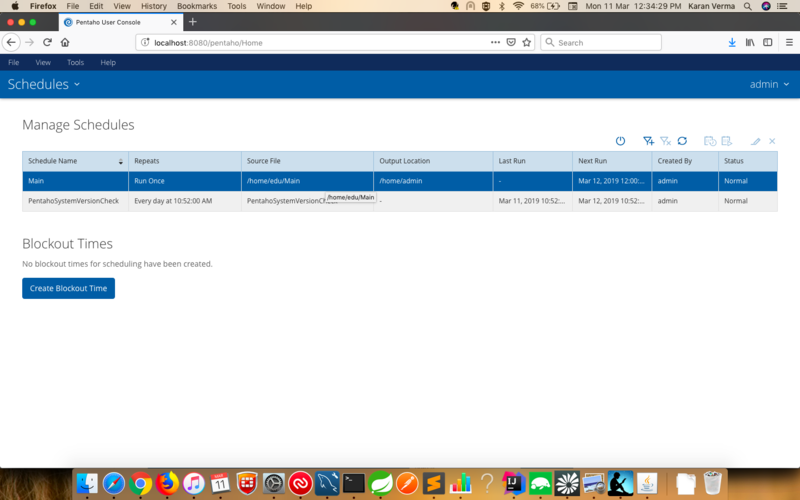 If I upload the file directly through the user console the log shows that the import was a success, but I cannot select or run the job anywhere. I use Pentaho BI server 5, but it should work same on Pentaho BI 6. My Kettle job runs many sub-transformations. Transformation files are stored on file system directory e.g. /opt/etl. So lets say I have one job (daily_job.kjb) with two sub-transformations. There are probably other ways to do this but that's the one I'm most familiar with. As for scheduling, you could just schedule a cronjob that makes the API request? Click on Browse Files button and a new page will open. In this page, Select a folder under Folders section and then click upload in the right side pane. Now refresh the page and then the file will be getting reflected in your respective folder. Now to schedule the job. 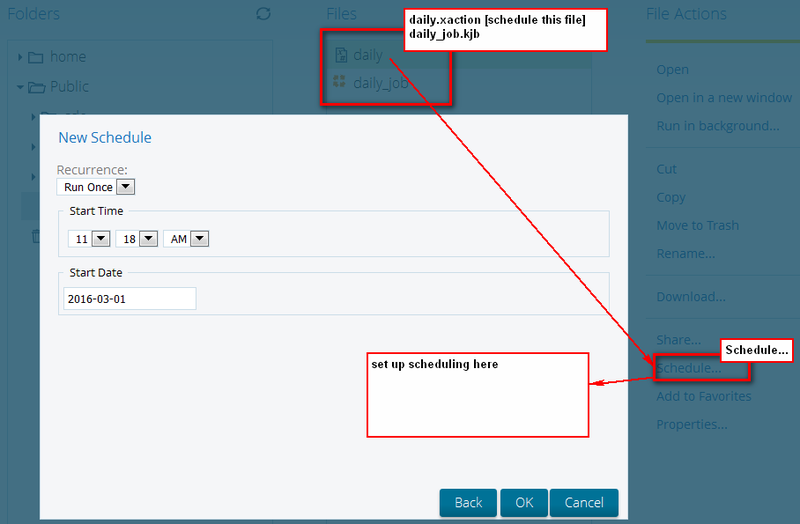 Click you respective folder in left pane, select your main job file in middle pane and then click on Schedule in the right pane. In the new pop up, select you generated file path and click next. Select the recurrence schedule, job time, and job start date. Select yes in the next pop and you will be redirected to Manage Schedules page, where you can see you job you just scheduled. And it will be running at the schedules time. Not the answer you're looking for? Browse other questions tagged pentaho kettle or ask your own question. 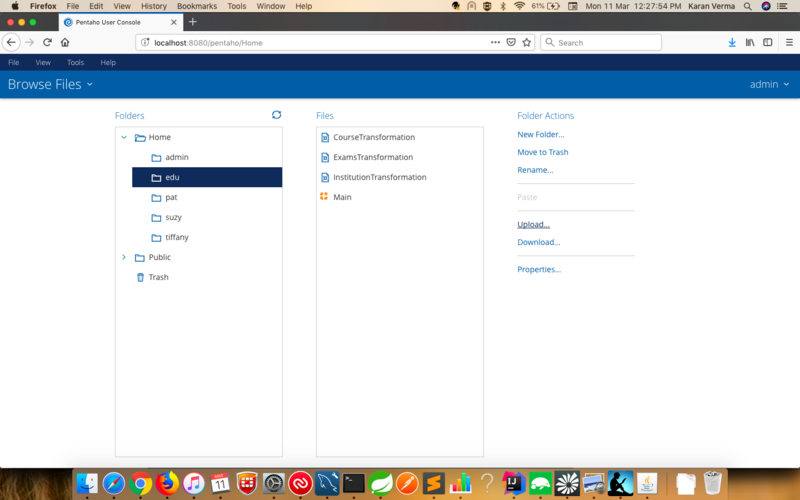 In Pentaho kettle, how to check the filename is exists or not? 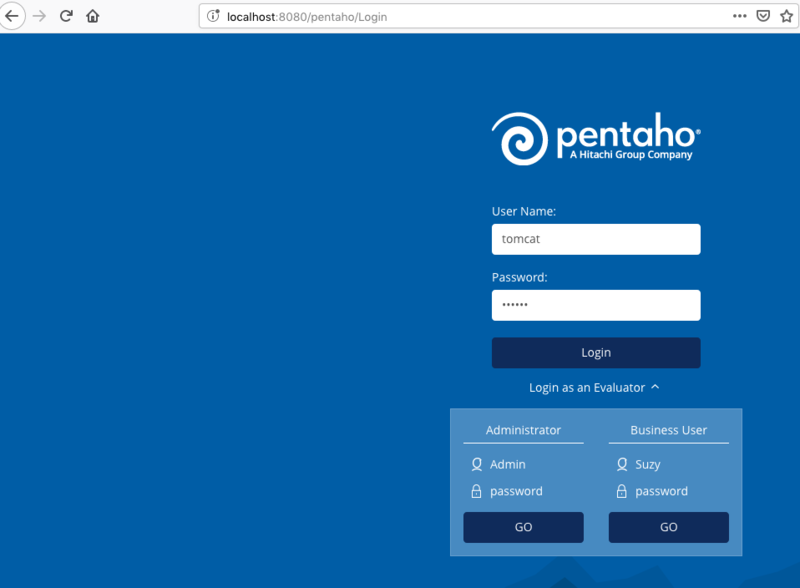 How to Design Pentaho Kettle (data integration) Job/Transformation Which is Run On Server? 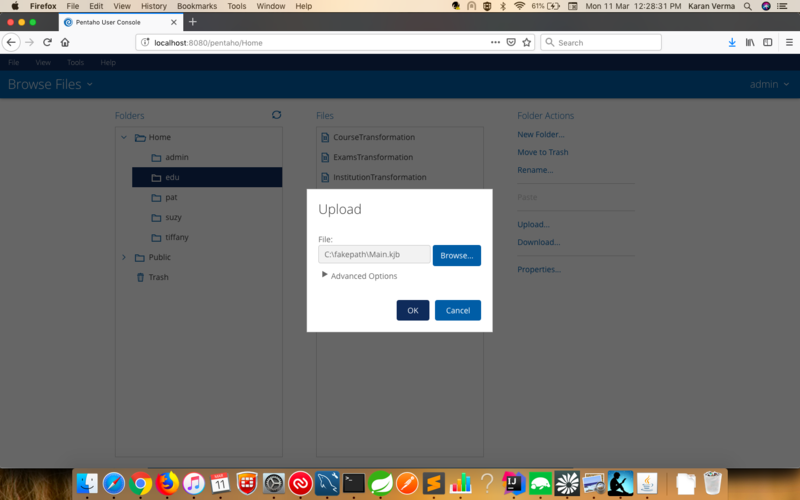 How upload file to Pentaho User Console server? Does Pentaho Data Interation aka Kettle 6.0 support failover clustering?